There are several ways you can save money on eggs, even if you can't raise your own hens. This is a guide about saving money on eggs. 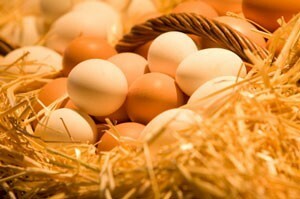 Tips for saving money on eggs as suggested by the ThriftyFun community. I've noticed when baking something if the recipe calls for three eggs, I can usually get away with just putting in 2. If it calls for 2 egg whites, I usually just put one whole egg. Everything still turns out the same. If you have a reasonable sized back garden (yard), and your local government allows, keep 2-4 chickens depending on the size of your family. You will have eggs galore, enough for all your needs and some to give to friends, family and neighbors. The added bonuses are they will use up all your kitchen scraps instead of putting them through a waste disposal system and overloading the sewage plant or sending them to landfill. You will have the chicken wastes to use on the garden, (a very rich fertilizer), and they can be moved around in a mobile bottomless pen to do your garden weeding. If you get a placid variety, they also make good pets for children, and if you get all the same color and one dies, you can pop another one in without the children noticing. My favorites are ex-battery hens which are very placid and easy to pick up for a pet and you also have the satisfaction of giving them a happy life after the living hell of a battery cage. The last benefit I can think of, (there are probably many more! 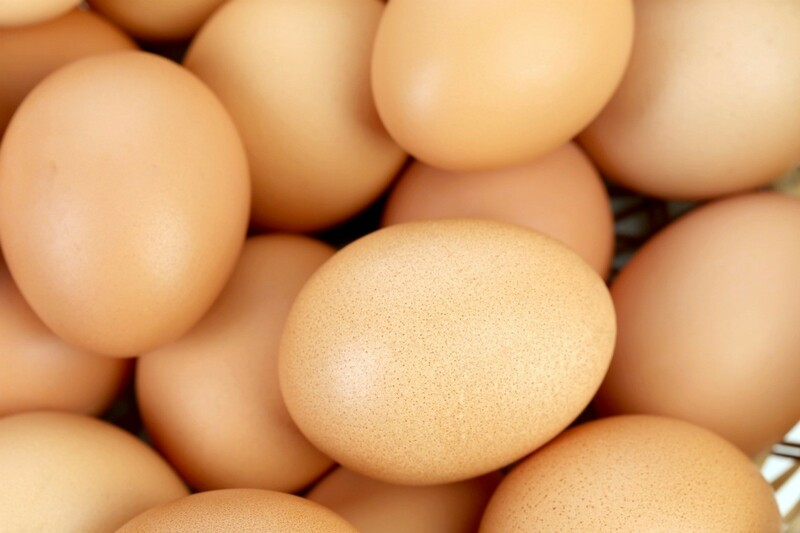 ), is that you know exactly what goes into your eggs - no antibiotics and other drugs, etc. P.S. You don't need a noisy old rooster either! Be careful changing the number of eggs in a recipe. Many things need all the eggs they call for, and many recipes calling for egg whites seriously don't need the yokes. I usually (though not always) cook 'by the book' the first time and then decide what changes I can get away with. The only thing I can think of to say to this topic is always serve something else with it if you are having eggs. For example, if you do scrambled eggs, do some toast with it. It adds sustenance. A great recipe I find is for French toast. Supposedly you should beat 3 eggs and add a drop of milk to make enough mixture for 4 slices. I always use one egg and add extra milk and it turns out just as nice, especially if you sprinkle a little bit of sugar and lemon on top! Check with local farmers or your local Amish/Mennonite community. They will often sell eggs for a lot cheaper then you can get at the store. They may be brown, but don't let the color fool you, they are just as yummy on the inside! You also get the benefit of having healthier food. The "free range" eggs are better on the chickens and better for you (as they are not "processed"). banana = 1 egg in cakes. There's always the tip that when you are scrambling eggs, "soft" scramble them. Add milk (powdered works fine), you can adjust the amount of milk you add to suit your tastes and/or to how far you need to stretch them. Eggs are cheaper here at the Mobil mart than at the grocery store and for X-large eggs too! I know someone already suggested getting chickens and I wanted to tell you that I highly recommend it! When my husband suggested that we get some I thought he was crazy because we lived in a neighborhood right off one of the busiest roads in the capital city of our state and I just knew that the neighbors would complain like mad about the stench and the noise but he was so excited about it that I gave in and I'm so glad I did! I was surprised at just how easy they are to care for! They don't stink at all because we use what's known as a deep litter system. That's basically just keeping fresh straw in their coop for them to poop on and then when they scratch, they turn under their waste and you don't even smell it! Just keep adding straw. 3 or 4 times a year, just empty out the coop and use the litter in your garden or find a friend who gardens and give it to them as it's one of the best fertilizers money can buy. As for the noise, it's also not a problem. You really don't hear them and the noises they make are cute, not obnoxious. We took all our neighbors fresh eggs occasionally, and as a result got to know the people living around us and made some new friends and not one of them even knew the chickens were there so they had no complaints! We worked out a deal with a natural grocery where they give us all the produce they were going to throw out (it's all organic too!) to feed to the girls so the majority of their food is free and the organic food makes the eggs taste better! This is by far the way to go to get more eggs, especially if you have kids! Give them the responsibility of the chickens since it's so easy and fun! They'll love the fact that eggs can not only be white and brown but one breed even lays blue and Dr. Suess green! Since the ladies came into our lives and our friends have actually seen how great and easy to care for they are, 3 of them have already added some chickens to their backyard and one is getting some tomorrow. It seems we started some kind of urban chicken movement where we live! Anyway, I know this post is long, thanks for reading and good luck! We began buying eggs from someone locally that raises chickens and sells eggs. I could not believe how much better they taste too. They are much richer tasting, and sometimes even doubled yolk. For a while, eggs were getting really high, and she could beat the grocery prices, but, when they went down, she is about the same in price now. But, it's a much better egg, taste and healthy wise, and I prefer to pay the price. And think of all the additives that you can miss like this. My "egg lady" is very particular and clean with her chickens. Always make sure this is the case. It shows in the taste of the egg, and the expense of it. I druther get eggs like this than raise my own chickens, I also live in the country, and could. But, it pays to have my "egg lady" to do it. The eggs taste so good, my teens that hated eggs, love these good country rich eggs. If your recipe calls for 3 eggs, use 2 + 1 tablespoon oil, 2 tablespoons of water, and 2 teaspoons of dried egg white or meringue powder. You can, as you see, stretch your eggs, and the flaxseed substitute works really well. I have chickens myself. A lot of towns will allow people to have hens but no roosters. Not a problem as you don't need a rooster to get the hens to lay eggs. I'd call your town clerk's office and ask if you can have hens. They LOVE kitchen scraps and they'll help rid your yard of bugs. There are a lot of nice designs for little movable chicken coops too. Hens are really nice to have. I love my chickens. We feed them cracked corn and kitchen scraps, they also get all the greenery when we weed gardens and all the gone over produce when we thin the fruit trees and other stuff. Put toothpick in water and you'll never have a cracked egg again. Feel free to post your ideas for saving money on eggs below! I love to look for ways to be thrifty in the kitchen. One of the most inexpensive food staples I have in my refrigerator is the egg! If you are still concerned about the cholesterol in your diet, in most recipes, you can use just the whites.